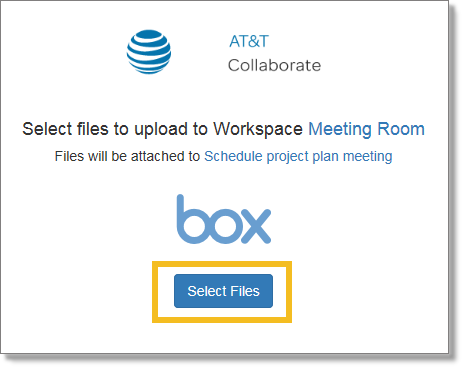 Add a file form Box to a workspace, where any member can access it. 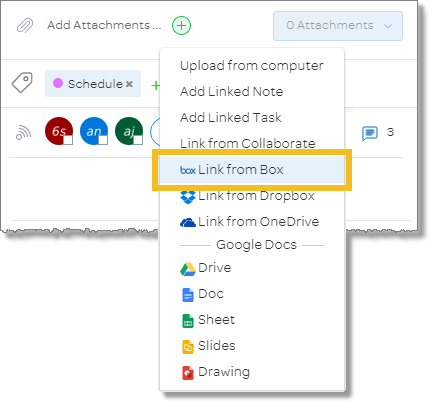 Attach a file from Box to a task and assign it to someone for review or edits. Select box. A box web page opens. On the Box web page, click Select Files. When prompted, sign in to Box. In the Box Files window, select the files you want to upload. 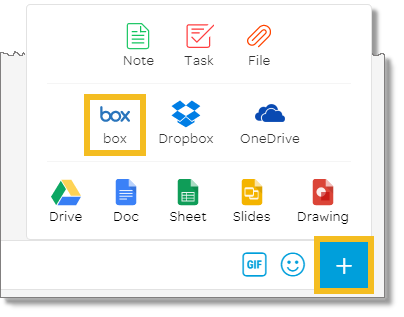 Select the task you want to add a Box file to. From the menu, select Link from box. On the Box page, click Select Files.